Carl Shaw got his first taste of the dairy business driving a milk wagon for Markle’s Dairy in Aurora, Ontario in 1933. 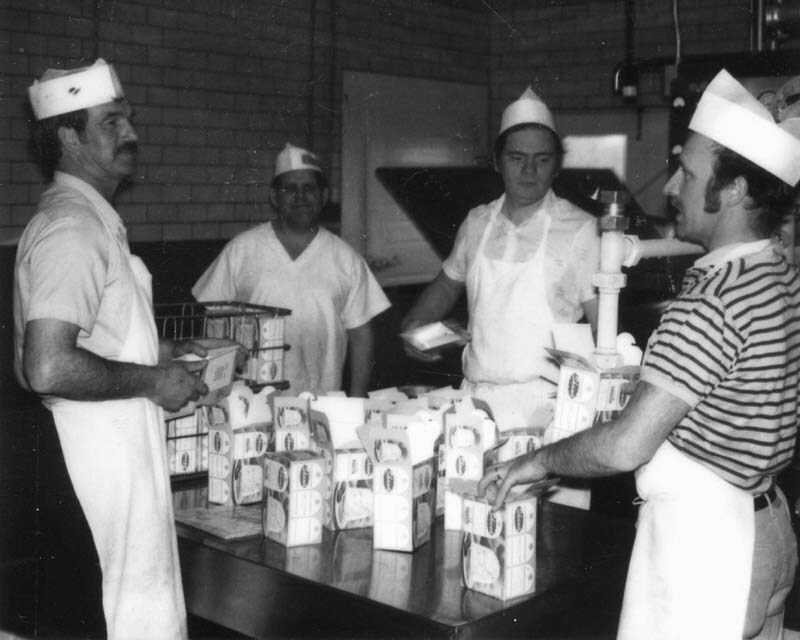 The owner of the dairy, Fred Markle, eventually asked Shaw to partner with him. Years later, Carl heard of a creamery for sale in Alliston, Ontario, but when he met with the owner to purchase the dairy he felt Carl may be too young for the investment. Around the same time a troubled Morrison’s Dairy came up for sale in downtown St. Thomas. Carl left a cheque for the business and headed back to Aurora. Meanwhile the gentleman from the Alliston Creamery called back and said he had changed his mind. Carl quickly called the bank, but the cheque for the St. Thomas purchase had been cashed! Carl sold his share in the Markle Dairy and moved to St. Thomas in 1937. 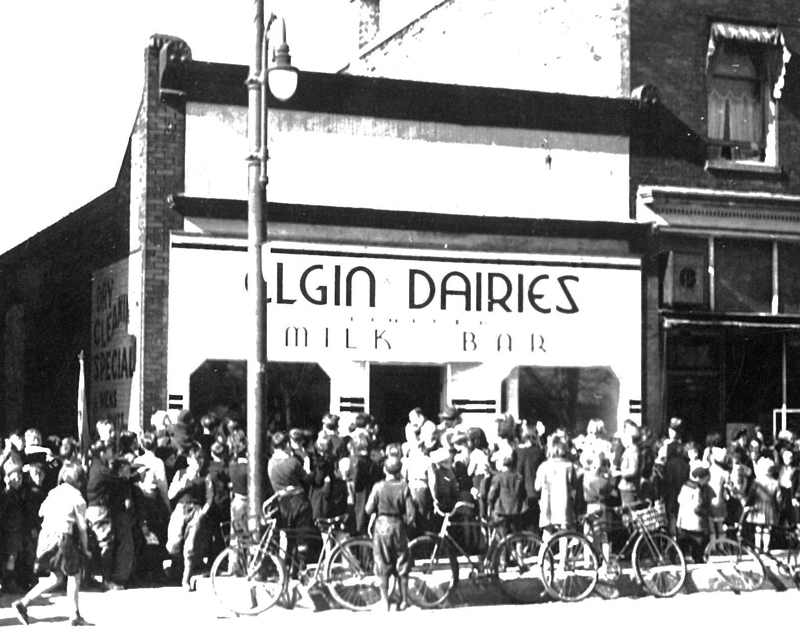 He next partnered with Crystal Dairies to form Elgin Dairies now located at 711 Talbot Street. Around 1942, a salesman from Toronto wanted Carl to purchase a “batch freezer” to increase the small amount of ice cream that he produced. Though Carl very much wanted the freezer, he could not afford it. He continually put the man off. Finally, the salesman, trusting Carl, offered to place the machine in the milk bar of the dairy and have Carl gradually pay for it from the sales of the ice cream manufactured. The ice cream was a hit! 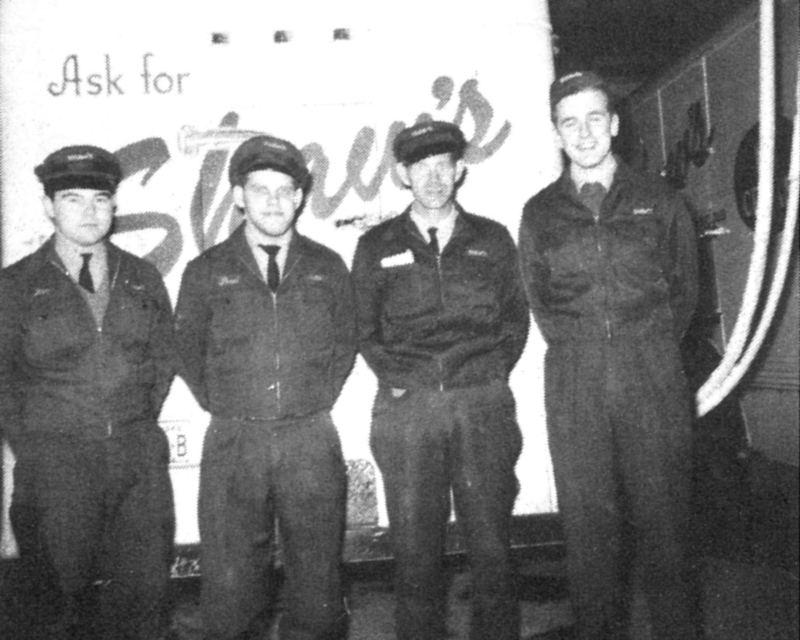 Carl eventually sold his milk business to Silverwoods in 1947 and in 1948 established Shaw’s Ice Cream Limited. In 1952 as the business grew, Carl built an ice cream plant on Hwy 4 South in St. Thomas where it still stands today. 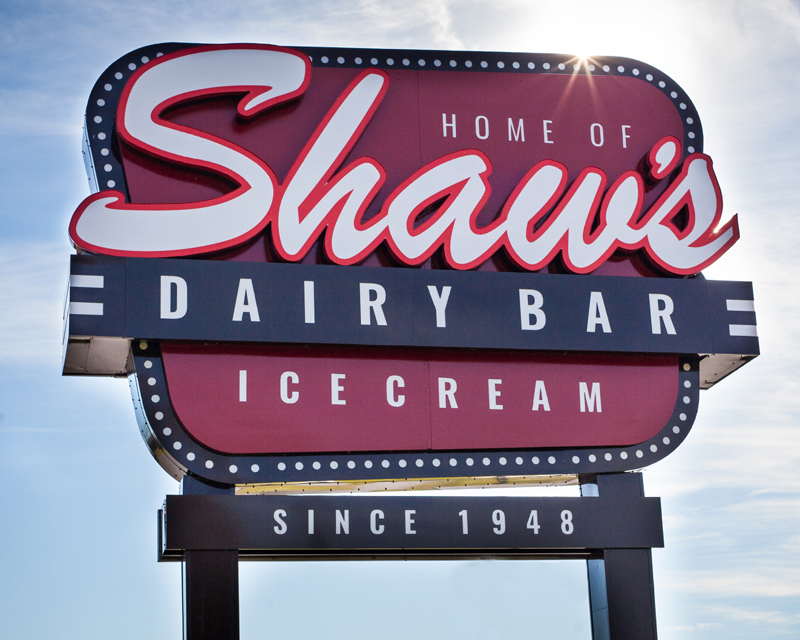 Wanting to service the public with the delicious ice cream being made on site – The Shaw’s Dairy Bar was added onto the plant in 1959. To this day, the retail location serves droves of locals and tourists headed to Port Stanley beach. Shaw eventually sold the business to his four sons in 1958. 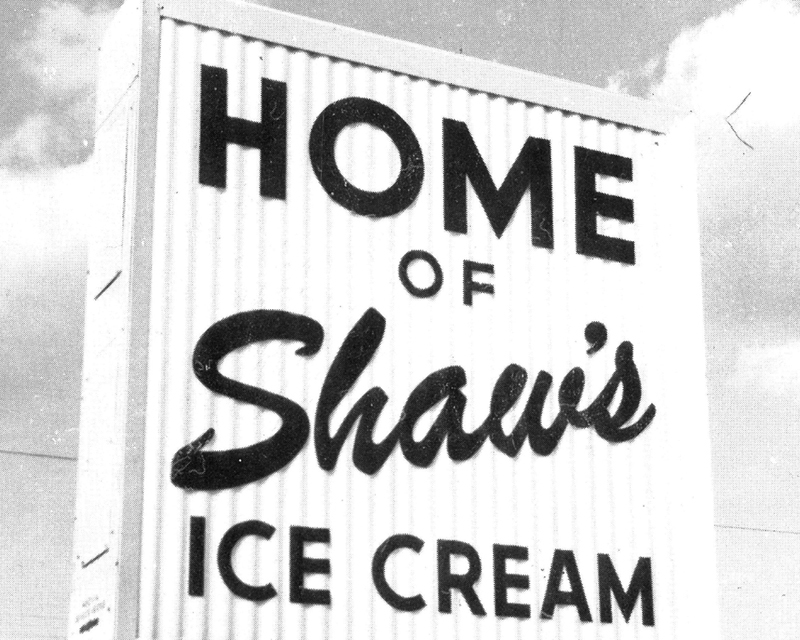 Then in 1987 Shaw’s Ice Cream sold again to the Becker Milk Company and in 1991 to Silcorp. The McLaughlin sisters purchased Shaw’s Ice Cream in 2001. Shaw’s is currently owned and operated by sisters Kristine, Kelly and Kim. Since 2001, the trio has expanded the company by introducing private labeling, a wider distribution area for wholesale customers and renovating the iconic Dairy Bar. Interested in scooping our famous ice cream at your shop or have a specialty project you need our expertise in? Contact us and we will be sure to provide you with superior products and customer service retailers have come to expect from our small business. 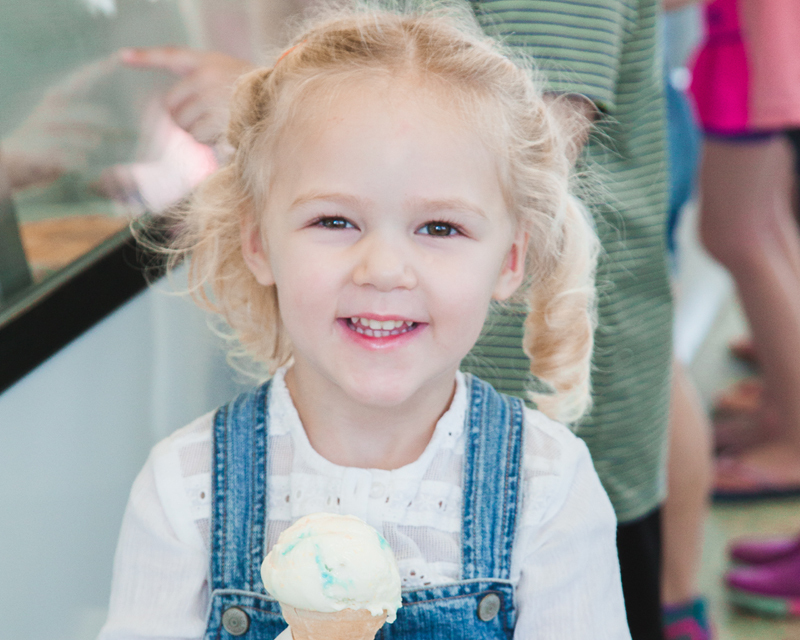 Our operation has maintained a long tradition of producing fine quality ice cream. 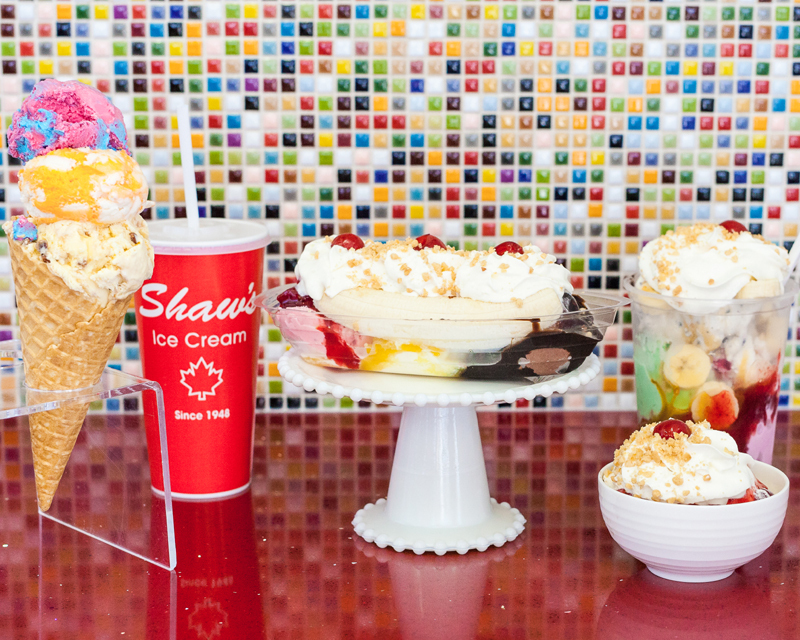 We simply use only the best ingredients and of course 100% Canadian Dairy, fresh cream is the first ingredient on our list! We take time in sourcing the purest flavourings, fruits, and dairy ingredients to bring to you what we consider the world’s best ice cream! Come experience the tradition and “Taste the Difference” while visiting our landmark Dairy Bar where you can choose from over 45 different flavours of hard ice cream made directly at our St. Thomas facility. 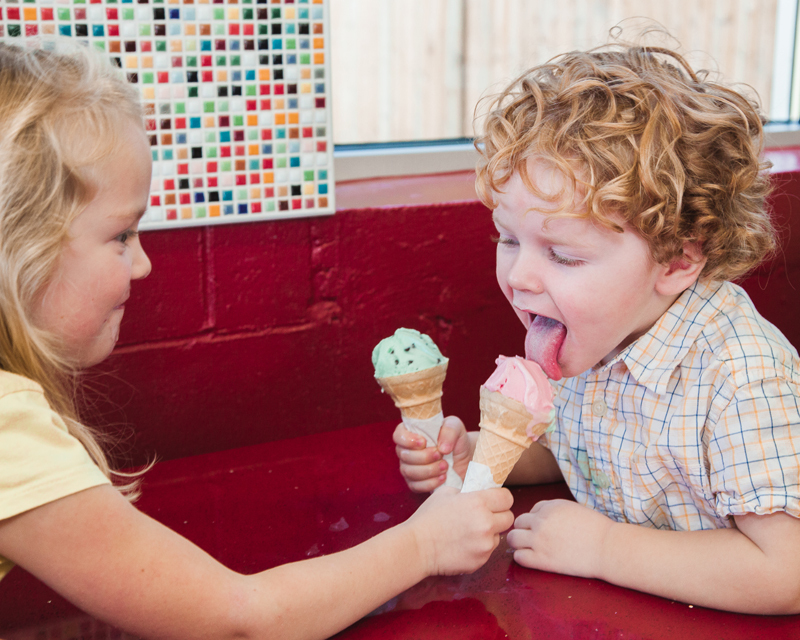 Enjoy our old-fashioned hand spun milk shakes, sundaes, floats and custom made ice cream cakes. There’s something here for everyone!